In my spare time I work on pet project based on EAN stack (Express, Angular, Node.JS). (Project doesn’t need DB, that’s why MongoDB is missing from famous MEAN stack). Initial draft of the project was scaffolded by Yeoman with usage of angular-fullstack generator. Build is based on Grunt. Apart from that generator was using Grunt, I chose it over Gulp, because it would be probably more mature. Also Grunt vs Gulp battle seem to me similar as Maven vs Gradle one in Java world. I never had a need to move away from Maven. Also don’t like idea of creating some custom algorithms in build system (bad Bash and Ant experience in the past). 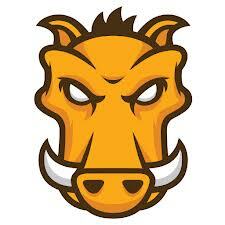 Grunt is similar to Maven in terms of configuration approach. I can very easily understand any build in Maven and expect similar build consistency from Grunt. Nearly immediately I started to feel that Node.JS and Express back-end build concerns (Mocha based test suite) are pretty different to concerns of Angular front-end build (minification, Require.js optimalization, Karma based test suite, …). There was clear distinction between these two. My main problem was having separate test suites. Karma makes generation of unit test code coverage very easy. Slightly tricky was setting up generation of code coverage stats for Mocha based server unit test suite. I managed to do that with Instanbul. So far so good. But when I wanted to send my stats to Coveralls server I could do that only for one suite. Coveralls support one stat per project. Combining stat files didn’t work nicely for me. So I felt a need for splitting the projects. As I’m developer with Java background, this situation reminded me Maven multi module project. In this concept you can have various separated projects/sub-modules that can evolve independently. These can be grouped/integrated together via special multi module project. This way you can build large enterprise and also modular application. I could use grunt-shell plugin for this (I am using it anyway if you read further), but this one seems to be platform independent. Grunt-shell obviously isn’t. My setup expects that developer would update sub-projects as needed. Also expects that Continuous Integration system that throws away entire workspace after the build. If you would be using Jenkins, you could use similar conditional trick in conjunction with gitupdate maven task that grunt-git provides. After cloning, we need to install dependencies for both sub-projects. Unfortunately I didn’t find any platform independent way of doing this (Have to be honest I didn’t look very deeply though). Main driver in this task is grunt-protractor-coverage plugin. I already wrote blog post about this plugin. That blog post was done at stage when there wasn’t multi module configuration in place, so you can expect differences (There is also branch dedicated for that blog post also). Backbone should be the same though. As Java developer, you are probably using a lot of frameworks. Spring or Hibernate can significantly reduce amount of boilerplate code. But inversion of control, dependency injections and proxies can be confusing during debugging. It is often annoying when debugger steps into third party library code. You realize that your code is wired via proxies and you have to add breakpoint into code you expect to hit. But there is better way in Eclipse. Feature called Step Filtering. Very few my former and current colleagues using Eclipse were aware of it. 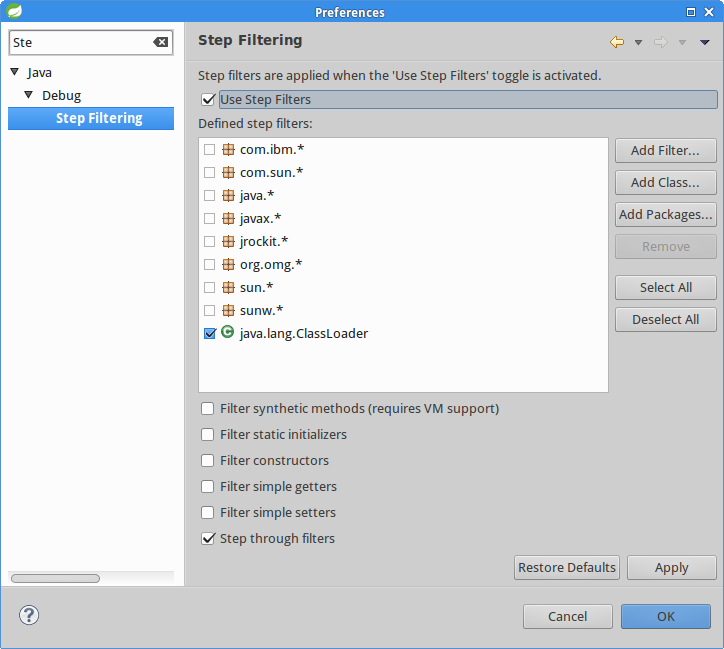 Just go into Window -> Preferences and search for Step Filtering. Check Use Step Filters and specify packages/classes you want to skip during debugging. Last week I wrote a blog post how to load complete inheritance tree of Spring beans into list. Similar feature can be used for autowiring all implementors of certain interface. Let’s have this structure of Spring beans. Notice that Bear is abstract class, therefore it’s not a Spring bean. So we have three beas: Wolf, PolarBear and Grizzly. 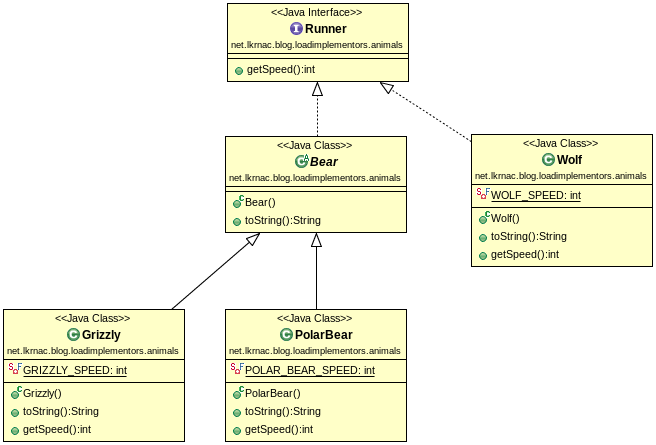 Method showRunners is using Java 8 forEach method that consumes method reference. This construct outputs loaded beans into console. You would find a lot of reading about these new Java 8 features these days. This feature can be handy sometimes. Source code of this short example is on Github. I’ve used ObjectAid Eclipse plugin for years. But very few of my colleagues were aware of it. This fact surprises me and therefore I would like to highlight it. It is very handy for generation of UML class diagrams from your code. It is also invaluable for analyzing of existing design. One of the top UML tools is Enterprise Architect. But I was never happy with Enterprise Architect usability. I find it much easier to sketch class structure in Java and generate UML class diagrams by ObjectAid. Advantage of this approach is that you have basic skeleton of the module. You can check-it in, so that team can start working on implementation. Have to mention that it’s commercial product, but Class Diagram version is free. For my UML class diagrams needs (design analyze, generating UML diagrams for documentation, modules design sketching) it was enough so far. They provide also paid Sequence diagram and Diagram Add-On versions. To be honest I have never tried these. For sequence diagrams I was using only Enterprise Architect so far. I would be definitely pushing towards buying ObjectAid licenses if we wouldn’t have Enterprise Architect licenses already. There’s no point for me to provide detailed description of it, because ObjectAid site contains short and explanatory overview. I suggest to start with One-Minute Introduction. Everyone understand how inaccurate can UML class diagrams become. Keeping them up to date manually doesn’t make sense at all. ObjectAid fills this gap, because you can maintain your class diagrams up to date. But I had problems in the past when diagrams couldn’t handle renaming or moving of Java classes. Not sure if this is still problem of recent versions, because my diagrams are short lived. I can easily generate new diagram by just dragging appropriate classes into Class diagram editor. This is beauty of ObjectAid plugin.